Arby's heads into fall with the debut of the new Cookie Butter Shake as well as the return of the Cinnamon Apple Crisp. 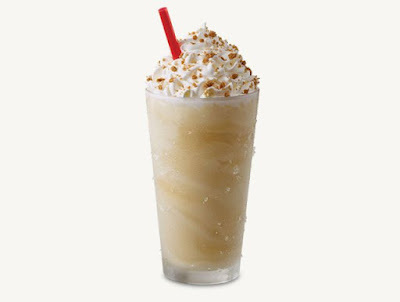 Available for a limited time, the Cookie Butter Shake is a shake with the flavor of cinnamon spice topped with whipped cream and crushed cookie pieces. The Cinnamon Apple Crisp features a warm vanilla cake and cinnamon-spiced apples topped with streusel, a drizzle of caramel, and whipped topping.